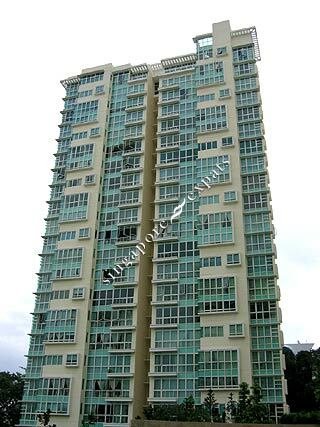 Goldenhill Park Condominium is situated in the vicinity of Lorong Chuan, Serangoon, Serangoon Gardens. Perched atop a majestic hill that rises over premium residential heartland, Goldenhill Park Condominium offers extraordinary advantages and a whole new level of fine living. You'll be impressed by the meticulous attention to detail, quality finishes and sprawling, manicured landscaping. Surprising accessible to the city, it is within close proximity to public transportation, schools, shopping facilities and other modern amenities. All this on prime freehold land. Which means, as an investment, Goldenhill Park Condominium is as good as gold. Goldenhill Park Condominium stands apart - a prestigious landmark in a mature residential precinct. Five towering blocks, each 20 storeys high, house 390 exquisite apartments. All around, lush, flora and parklands abound, offering refreshing vistas at every turn. And within its grounds, Goldenhill Park Condominium's terraced grounds carpet the hillside, like plush green velvet, gracefully enfolding the many swimming pools, water features and the glass-fronted clubhouse. At Goldenhill Park Condominium, the golden moments of beauty and tranquility last forever. Throughout Goldenhill Park Condominium, water elements are the sparkling highlights. A magical water curtain, rushing water from ornate spouts, and the infinity pool that seems to stretch as far as the eye can see. You will enjoy many awe-inspiring moments as the sun sets over shimmering water. For before your very eyes, water turns into liquid gold. There's also everything here to make for fine living - tennis courts, a basketball practice area, reflexology path, as well as a magnificent glass-fronted clubhouse with a fully-equipped gymnasium, karaoke room where you can get together with family and friends. Or perhaps you'd prefer to spend a moment in a solitary reflection at the viewing pavilion that quietly stands vigil over the rolling grounds. A series of innovative ideas differentiates Goldenhill Park Condominium from the others. Unique quality, chic styling, truly in a class of its own. Veneer wrapped timberwork warmly embraces your home, bestowing a cosy intimate feeling. The interiors have been thoughtfully designed to optimise space and provide distinctive charm with added convenience. Stone and timber give the interiors an extraordinary touch, while full glass picture windows invite spectacular views that will take your breath away. Goldenhill Park Condominium is situated away from the hustle and bustle of the city, it is a location that is amazingly central and accessible from any part of the city via the CTE and PIE. And just a stone's throw away are all the modern amenities that you'll need. Sought-after schools like St. Gabriel Primary School, Nanyang Junior College, Raffles Institute and Australian International School are located nearby. So too are the conveniences of markets, shops, scenic parks and playgrounds. NEW! MODERN & TASTEFULLY RENOVATED FOR FAMILIES! MRT @ door steps, Great Amenities, Near Australian International & French International Schools. Many good expats living here. Quiet yet accessible. Multiple amenities nearby for home-stayers. Full condominium facilities to promote a healthy lifestyle. Not a place to be missed! Its located in the premium area.